Do you know what REM sleep is? Do you know how important it is for your overall health? And, most importantly, do you know whether or not you’re getting enough of it? It’s only in recent years that we’ve become aware of what REM sleep is and how important it is so the overall health and wellness of the average person. So we’re dedicating some time and space to talking about this important topic today. Get ready to learn all you’ve ever wanted to know – and then some – about REM sleep. You sometimes hear people talking about it and TV or movies, but the way they discuss it only really scratches the surface. REM is an acronym for rapid eye movement”. In a way, this name is a little bit funny. This particular stage of sleep got its name because – surprise, surprise – one very common characteristic of REM sleep is that a person’s eyes tend to dart back and forth rapidly. But the funny thing about it is that the rest of the human body in a healthy individual is completely paralyzed. It’s a physical state called atonia. The human body slips into atonia during REM sleep because this is the stage of sleep where most people experience dreams. 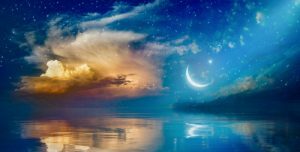 And when people dream, if something somehow inhibits the atonia process, there’s a high likelihood they will get up and start to physically act out what they are experiencing in their dream world. This phenomenon has been shown in animal experiments where scientists have purposely inhibited the atonia process. 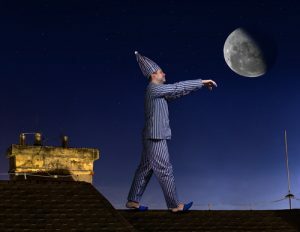 Examples of it in humans are what many believe to be instances of sleepwalking. The reigning theory is that atonia is the body’s natural defense mechanism to protect us from ourselves while we dream. If we didn’t have atonia, who knows – we could end up walking straight off a cliff in our sleep! The brain is very active during REM sleep, contrary to what most people believe. Another funny name for REM sleep is called paradoxical sleep because brain wave activity spikes to the point where in almost resembles that of a waking person. But there may be a reasonable explanation for this. Scientists firmly believe that REM sleep is the portion of your sleep cycle where your brain is processing and storing new memories. It’s almost like running a defrag program on your hard drive – except for your brain! Why Does the Human Body Need REM Sleep? The body requires REM sleep for optimal mind-body health and wellness. If it weren’t for REM sleep, you would have some serious memory problems – especially when it comes to long-term memories. Studies show that people who get a good, healthy amount of REM sleep have better and more reliable long-term memory. They also do better when remembering recently learned things, like cramming before a final and getting an A instead of a B on the test. And if you have been working hard to learn new information recently, then your body will very likely spend more time in a REM sleep state during your nightly rest. People of every age need REM sleep – but certain ages need it more than others. Infants, children, and teenagers spend the greatest amount of time in REM sleep. The younger your brain is, the more things it has to learn as you grow. It was completely understandable why the body would dedicate so much of its sleep resources to getting enough rem. As you get older – and this is especially true the less time you spend learning new things and/or practicing the skills you have – the less time your body will spend in REM sleep. And the less REM sleep you get, well…That brings us to our next section. What’s the Harm in Getting Less REM Sleep? There’s a chance you could also experience weight gain, inflammation, and poor immune responses as a result of too little REM sleep. It’s during this stage of sleep and the slightly deeper stage – delta sleep – that your body cleans house and repairs most of the damage you received from your daily activities. But if your body never hits these sleep stages, those repairs never happen. And it screws up everything in your body from your immune system to your metabolism to your brain function and beyond. The best way to make sure the most REM sleep you can when you need it most is to avoid drinking alcohol too close to bedtime. Alcohol is a strong and well-known inhibitor of REM sleep. Benzodiazepines have a very similar effect, which is problematic seeing as how often they are prescribed for conditions like insomnia and anxiety. There are other drugs which also inhibit REM sleep, but not nearly as profoundly as alcohol or powerful narcotics. Cannabis has been shown to depress the REM sleep cycle, although there isn’t enough scientific data to suggest whether certain strains create this affect more than others – or whether there may actually be strains of the plant which can help encourage and improve REM sleep. Prescription sleeping pills which are not benzodiazepines, as well as off-label prescription sleep aids and over the counter sleeping pills can also inhibit REM sleep. Your best bet is to stay away from these drugs if you can. So what should you do instead of relying on hard drugs to help with your sleep problems? Try to find a safe, natural sleep aid to help you get the rest you want and the REM sleep your body needs. Avinol PM is great for that. It has the perfect mix of natural ingredients that are potent enough to give you the sleep you need but gentle enough that they won’t produce any negative side effects or leave you groggy the next day. You should try ordering some Avinol PM now! Supplementing with melatonin in order to help you get better sleep is a very popular habit these days. If you haven’t tried it yet, you may be skeptical about whether or not it actually works. Is it just a placebo? Does it really help people get to sleep faster, and sleep better through the night? Are there other health benefits besides improved sleep quality? If you keep reading, you will find out all of the answers to these questions and more. You may even decide that a nightly dose of melatonin is right for you. Melatonin is one of the most important hormones in the human body. Yes, you read that right; melatonin is a hormone. And it has a very strong connection to your circadian rhythm. The circadian rhythm is a series of biological reactions in your body which happen as a result of the rising and setting of the sun in any 24-hour period. If you have a healthy sleep cycle and healthy melatonin production, this means you will feel awake and energized in the morning and tired and ready for bed at the end of the day. Unfortunately, for most of up these days, this is not the case. Melatonin is an extremely important component of the human circadian rhythm. It becomes most active and most potent what’s the sun begins to set. Daylight is full of what scientists refer to as “blue light”. 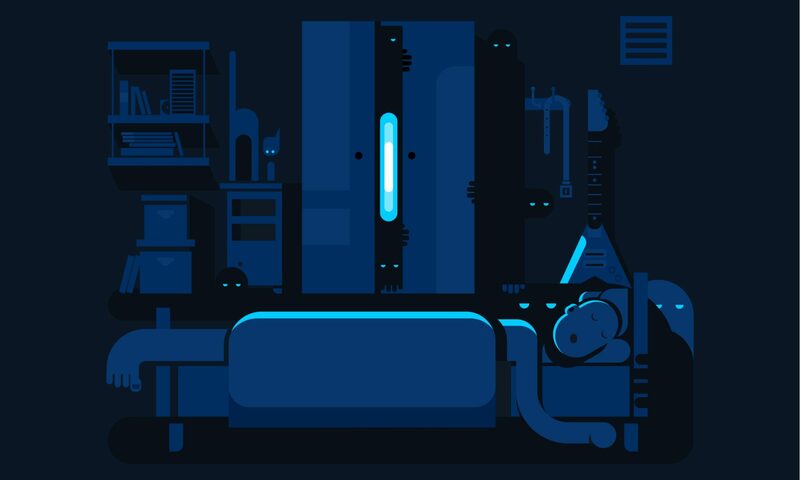 The reason the human body tends to wake up and feel active during the daylight hours is because this blue light flip a switch in your brain with shuts off melatonin and produces other, wakefulness hormones to get you going. Before the invention of electricity – especially many of our modern electrical appliances today – the only time the human body was exposed to this blue light was while the sun was up. Unfortunately, these days, we are exposed to it 24/7. When your body is constantly bombarded with blue light, your internal switch never flips. Your body doesn’t get the hint that the sun has gone down and that it is time to produce melatonin (the sleep hormone) so that you can get ready for a restorative night’s rest. This leaves many people feeling restless, anxious, and wide awake at bedtime. The best solution to this problem is to avoid electronic light within a few hours of bedtime so that your body knows it’s time to pump out melatonin. Unfortunately, for some, this is easier said than done. We hope that making one or several of these changes can have a positive impact on your ability to sleep well at night. But if you’re still having trouble, it’s understandable to reach for a melatonin sleep supplement. And you’ll be happy to know that there are even more benefits to melatonin supplements than just better sleep! The most popular reason to take a melatonin supplement is to promote relaxation, drowsiness, and better sleep quality at night. But that’s not all melatonin can do for you. There are other secondary benefits which you can enjoy with a daily dose of melatonin. You may be surprised at some of these! We’ll bet money you just learned a new fact that you didn’t know before. For those who are out of the loop, antioxidants are natural compounds which protect human cells from oxidative damage. Unfortunately, there’s no way to avoid oxidative damage. It’s a common byproduct of your cells performing their day-to-day functions in order to stay alive and healthy. Cells can’t avoid oxidative damage any more than a human being can avoid going to the bathroom. But an excess of oxidative damage can I have some very serious consequences if you don’t clean it up by infusing your cells with antioxidants. Antioxidants protect against DNA damage which, over time, can cause deformed cells and may even lead to cancer. Antioxidants also protect your mitochondrial health which scientists are now starting to discover has a direct effect on youthfulness and anti-aging. Healthy cellular mitochondria are also responsible for making you feel energized during the day. So those are the microscopic benefits of melatonin. But what about the macroscopic ones? Well, melatonin improves your immune system function. It helps protect against harmful levels of inflammation while also enhancing your T-cells ability to neutralize viruses and bacteria. There are also strong correlations between melatonin supplementation and reduced severity of chronic anxiety, ADHD, and autism symptoms. To be clear, melatonin is not a cure for these conditions nor should this article replace competent middle advice from your doctor. But if you or someone you know is suffering from any of these conditions, it may be worth discussing melatonin supplements with your physician. Lastly, melatonin supplements have helped people with chronic headaches. Melatonin is exceptionally appropriate when you’re talking about cluster headaches. It has been shown to both reduce the severity and the frequency of these types of migraines. Melatonin is absolutely safe. There is no such thing as “overdosing” on melatonin. No one has ever died or gotten sick from taking melatonin supplements. And it doesn’t have anything close to the horrible side effects which prescription and over-the-counter sleeping pills do. Oh, did we mention Avinol PM contains a generous amount of melatonin? Along with the other herbs, botanicals, and amino acids, melatonin makes up an essential component of this natural sleep aid. We hope you at least consider giving melatonin a try. And if that works well for you on its own, just imagine how much better it will work as a part of the Avinol PM formula.